A new simplified range of floor drainage products for all types of floor finishes: screed, tile or vinyl. Choosing floor drains shouldn't be complicated. • Simple range of components that provide complete floor drain solutions. • Removable bottle trap with a twist lock fitting of dip tube and cup (registered design). • Gratings NPSM or direct fit if no gully is required. • Innovative new P and S trap gully designs. S trap requiring only 180mm borehole providing significant cost saving opportunity. 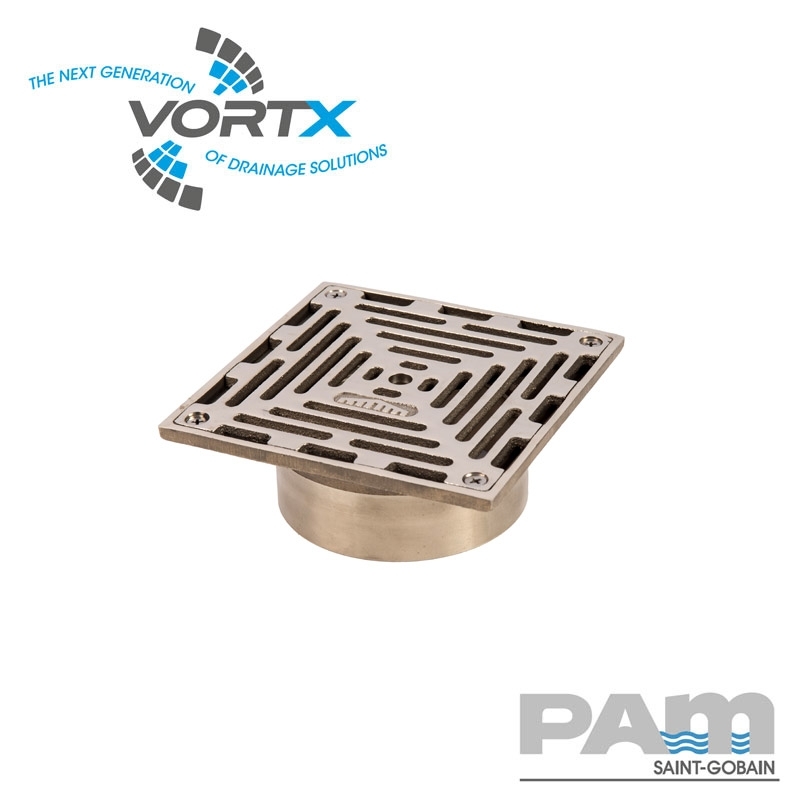 • Designed to connect to cast iron BS EN 877 systems VortX gullies will connect to any pipework material/system through a range of adaptors to standard couplings.